The Central Board of Secondary Education (CBSE) on Sunday announced the examination results of the Senior Secondary Examination (Class 12th). 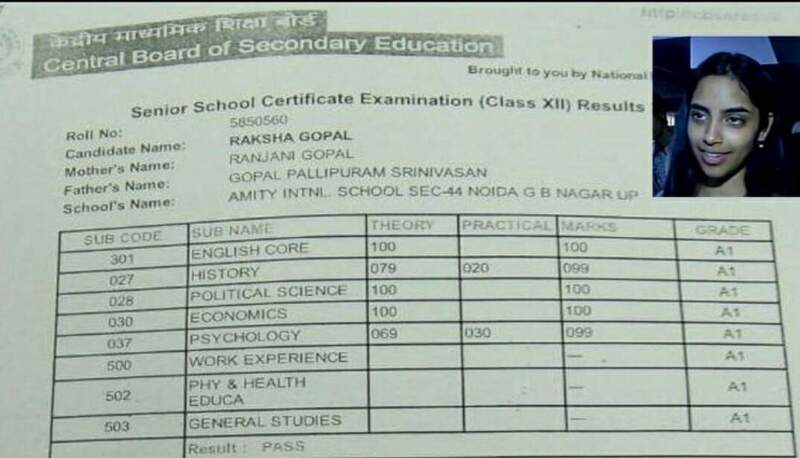 Raksha Gopal of Amity International School, Noida has topped the CBSE Class XII 2017 results with 99.6 percent. 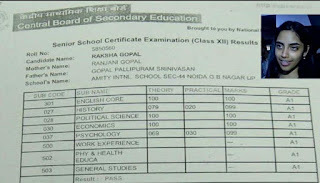 Her marksheet has gone viral on social media.